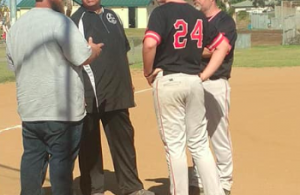 EL CAJON (3-29-2019) – How can a pitcher throw seven full innings and not record a complete game (extra innings not included)? For El Capitan pitcher Alexa Williams, you come in to relieve a starting pitcher who failed to record an out, registering all 21 outs in the Vaqueros’ 8-5 victory over host Christian at Dawson Field. Williams was able to limit the damage to two Patriots runs. Meanwhile, the Vaquers answered with six runs over the next three innings to grab the lead for keeps. The triumph gives El Capitan (9-4), a 6-game winning streak, the school’s longest since a nine-game win streak just back in 2017. Williams expected to receive a day off against an up-and-down Christian ballclub, which literally has lost two, won two, then lost two straight over its previous six games. The Patriots believed they would again reverse the trend after opening with four walks and a hit batter to quickly get on the scoreboards. Then Williams was summoned to the circle. She proceeded to strike out 11 batters in her 7-inning, non-complete game. The Vaqueros scored once in the 2nd, then twice in the 2nd to secure the lead. No. 9 hitter Katy Hicks (2-for-3, 2 RBI, 3 runs) reached on an infield single. An out later, she was bunted to third on a sacrifice. Then the big guns came up. Bailey Olaveson drilled a hard ground ball up the middle for an RBI single. Williams followed with the first of her two doubles on the day, plating Olaveson with the go-ahead run. Olaveson would later double with the bases loaded in the 6th, collecting two of her three RBI. Christian also supplied some power. With Williams on strike away from the win in the 7th, Patriots senior co-captain Mallory Steele extended the contest with a 2-run homer into the trees in right field. For El Capitan, the bottom third of the batting order — Brandy Taylor, Kiki Angeles and Hicks — each collected two base hits. Christian (2-8) shortstop Audrey Shebloski registered two of the Patriots’ four hits. “Audrey and I have been teammates for years,” Williams said. “I enjoy playing with her on the same field – even if we are not on the same team. “I knew Christian had some good batters so I mixed up my pitches and threw several changeups to keep them off balance. STEELE CANYON 9, WEST HILLS 5: At western Santee, the Cougars also got off to a slow start. Despite being down 3-0 after one frame, they responded with six runs in the 3rd to down the Wolf Pack in Thursday’s (Mar. 28) Grossmont Hills League contest. West Hills senior Stay Gaylord ripped a 3-run homer to give the Wolf Pack their early lead. Her blow to center field followed consecutive basehits by senior Dakotta Mershon and sophomore Sabrian Brown. However, after Steele Canyon had its big inning, J.J. Venzor and Audrey Bagge belted consecutive home runs in the 6th. For Bagge, it eas her East County-leading fifth homer of the season. Venzor also started with six-run rally with an RBI single. Later, the Cougars gained consecutive RBI singles by Bianca Morales, Amanda Whipple, and Tayler Thomas. Steele Canyon (6-7 overall, 1-1 GHL) saw Thomas, Venzor, and Bagge finish with three hits each among 13 by the Cougars. For West Hills (4-7, 0-2 GHL), Gaylord and Lily Youngdale each registered a double among their two hits. BRAWLEY 2, SANTANA 0: At the Imperial Valley, the Sultans can call it the (name of newspaper) jinx. Upon entering the paper’s CIF San Diego Section rankings, Santana has lost four straight, incuding Thursday’s (Mar. 29) nonleague game at Brawley. Wildcats senior pitcher Jalyn Ayala fired a 5-hit shutout, striking out five. Santana pitcher Joey Barkhimer finished with rikeouts, but was doomed by an unearned run when the Wildcats tallied twice in the 6th inning to break-up the scoreless pitchers’ duel. Brawley (7-3) received its RBI from infielders Dilynn Gill and Kamryn Rodriguez. Santana (5-4) gained two hits each from Lakaila Aquiningoc-David, who extended her hitting streak to seven games, and Shelby Holmquist. SWEETWATER 13, MONTE VISTA 12: At National City, the Monarchs gained a late lead, only to watch the Red Devils respond in kind with a pair of runs to walk-off with a non-league triumph, ending Monte Vista’s 4-game winning streak. Sweetwater was down 10-7 when they scored four times in the 6th. Monte Vista re-gained the advantage on a two-out triple by Ionna Upham, bringing home Vanessa Varela with the game-tying run. Moments later, Upham scored on a passed ball to put the Monarchs on top. However, the Red Devils answered with a run on an error, then a walk-off, sacrifice fly by freshman Natalie Corrales, as her line drive scored Isabel Morales. For Monte Vista (6-4), Upham batted 3-for-5 with 4 RBI and scoring twice, Dessire Corona and Kayla Gonzalez also registered three hits. Sweetwater (6-4) saw Corrales, the shortstop, batted 4-for-4 before her game-winning sacrifice fly. HILLTOP 3, HELIX 2 (8 inn.) – Both starting pitchers in this matchup went the distance in a pitcher’s duel that didn’t see any runs scored until the 5th inning. Freshman Sophia Ramuno (8 IP, 8 K, 3 R) got the start for the Highlanders, while the Lancers countered with senior Alexis Sandoval (8 IP, 2 K, 2 R). In the bottom of the 2nd inning, the Highlanders threatened when Isabella Bordine (1-2, 2B, 2 BB) drew a one-out walk, followed by a single lined into right by Kasey Castro (2-4, 2 1B). Zoe Kuhlken (1-3, 2B, R, BB) battled to a full count walk, bringing freshman Amber Young (2-4, 2 1B) to the plate. Young got her first Varsity hit with a line drive into center, loading the bases with 2 outs. However, Helix failed to capitalize. The offenses remained silent, neutralized by the dueling pitchers, until the 5th inning. Avery Perez (1-3, 2B, R, BB) led off with a double that rolled to the left-center field wall. Erin Brown (1-4, RBI) came to the plate next, popping a fly ball into shallow center that no fielder could reach, allowing Perez to score the first run of the game. In the top of the 6th, with regulation innings growing sparse, the Lancers quickly worked to retaliate. Anahy Carbajal (1-4, 1B, R) led off with a single that snuck down the first base line. A sacrifice bunt advanced her to second, giving Lily Hermosillo (2-3, 2B, BB) a chance to drive in a run. 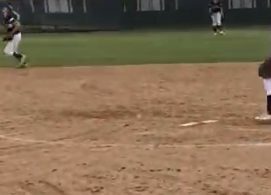 She delivered a perfectly placed ball through the 5-6 hole for single, moving Carbajal to third base. With runners on the corners, during the next AB, Hermosillo attempted to steal second base, but the vigilant Highlanders managed to catch her for the second out, while also keeping Carbajal safely on third base. With two outs, cleanup batter Sofia Vega (1-4, HR) dug in. Facing a 1-2 count, Vega lifted a fly ball over the center field fence, scoring both the tying and go-ahead runs for the Lancers. 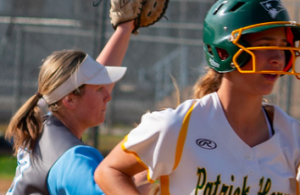 The Highlanders struck back in the bottom of the 6th as Zoe Kuhlken led off with a double, Lizette Bernardino (1-4, 1B) hit an infield single, and Avery Perez grounded into a fielder’s choice, scoring Kuhlken and tying the game once more. Hermosillo dug in for the fourth time of the game. She lifted a fly ball into right-center field, where it dropped before either outfielder could reach it. Celis scored on the play, giving the Lancers the lead. In the bottom of the 7th, Castro led off with a single lined into center field, but the rest of the order was retired with little fuss as Sandoval closed the door on her 8-inning complete game victory.